We have received your purchase order and will send it out right away. 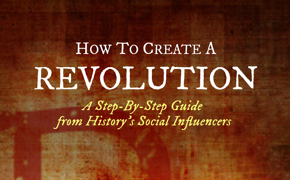 In the meantime, you can download the full PDF of How to Create a Revolution: A Step-by-Step Guide from History’s Social Influencers. When you receive your purchase, feel free to let me know you’ve received it. 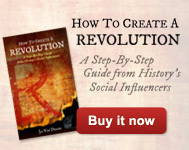 You can comment on my blog, post a picture of you and your purchase on Facebook (don’t forget to tag me), or Tweet me. PS — While you’re here, feel free to subscribe to my blog’s RSS feed.Also, if you have any questions, please feel free to reach out any time.